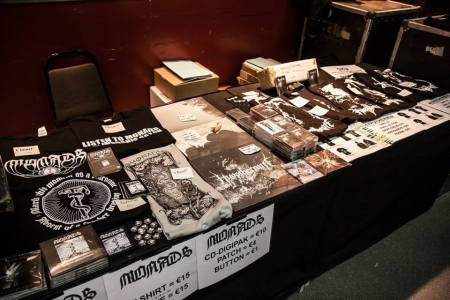 "Remember the surprise success of Belgian band Monads a few years back, when their demo release 'Intellectus Iudicat Veritatem' arrived more or less unannounced in the Funeral/Death/Doom arena? Well, it's been a while, but the band have been busy both live and in the studio, and their debut full-length is set for release in just a few days from now, via Aesthetic Death Records. It seemed like an ideal time to make contact with band founder Hans Cools and take a deeper look into the Monads philosophy." Find out what we thought of the album itself. Talking to us today: band founder Hans Cools. (1) Hello Hans, and thanks for agreeing to be interviewed for Doom-Metal.com. It’s been a little while since we heard anything from Monads, so perhaps we could start with a brief reminder of who you are and where you’re from? Hello Mike, and no worries. Yes, it's been kind of quiet, but we have been active all this time, albeit a bit slower [insert doom joke]. 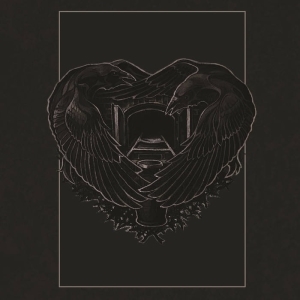 Monads is a five piece funeral death/doom band from Belgium (with our vocalist being Belgian, but located in Sweden). We released our 55 minute demo 'Intellectus Iudicat Veritatem' in 2011 and had it re-released on CD meanwhile. We did quite some gigs over the years including a short tour with Hypothermia and Kall. (2) Belgium always seems particularly well-represented, both with extreme Doom bands and an active live scene for them. Is that actually the case, and if so, what would you say are the reasons for it? I'm more at home in the black metal world than in the local doom scene. Personally, I am very picky when it comes to doom music, which is probably why I don't like that many Belgian doom bands. I do, however, think that bands like Cantar and Insanity Reigns Supreme did remarkable things in the past, and especially the Cantar album is an absolute classic in my collection. When it comes to doom performances, it's always a 'hit or miss' situation. 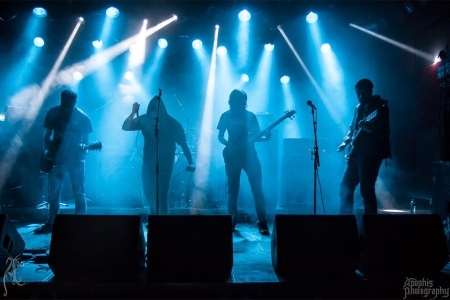 For example, I think Esoteric are one of the best bands out there (and not just in the genre or subgenre), and me and the Monads vocalist have gotten them to Belgium, but even then it's hard to estimate how many people will show up. At the same time, I see bigger events pass by for the more melodic doom bands, but they don't really do anything to me. It's not hate, just taste. (3) So, in Monads’ case, the band started up in 2011. What brought you all together in the first place? For several years, I'd been walking around with the idea of forming a doom band with a complete line-up (meaning the band would be able to perform live without needing session members, or not only being a studio project). I had a clear vision of what the music should sound like, and what atmosphere it would project. I’m not a big fan of doom that sounds ‘too nice’, doom metal - for me - needs to be a punch in the face, which is what I want Monads to emit when we play live and when someone listens to our music. Every one of us had played in at least one band or project before we started Monads, and several of us had worked together with one or more of the band members in other projects. This way, even in the beginning Monads did not feel like something 'new', but like a new way of expression by a gathering of people that already know the 'scene'. Most of us have experience regarding record deals, recordings, studios, playing and organizing gigs, etc. Our mutual past and interest is mostly in black metal, but most of us were into doom on a personal level since long before. Monads: D.Degrieck (Drums), J.Frederix (Bass), R.Polon (Vocals), F.Breulet (Guitars) and H.Cools (Guitars). 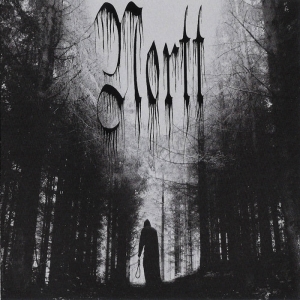 (4) It’s quite noticeable that quite extensive list of other projects members of Monads are, or have been, involved with are Black Metal-based - yet here you decided on a Funeral/Death/Doom direction. I’d generally consider those almost polar opposites as far as extreme Metal is concerned: how much overlap and how much divergence do you see between the two? Oh, I don't see them as opposites at all. We noticed pretty qiuickly that Monads spoke more to a black metal audience than it did to the classic doom audience. Though unsurprising for us, I get how that might sound weird if you just listen to the music. Some of our main influences are those bands who also have a deeper connection to the black metal scene. I think the feelings we put into the music as well as the riffing and picking style is sometimes very similar to black metal, though I most certainly wouldn't call Monads 'black/doom metal'. I also believe black metal, though often ridiculed (and often with reason! ), is a genre where some bands really try to lift the live performances to a different level; try to make it an experience (for band and audience) rather than a performance. This is what we try to evoke with Monads on stage too. If I don't feel absolutely emotionally beaten up after a gig, something wasn't right. If I can't emit the emotions put into the music while playing that music live, there's no use for a performance at all. (5) What were your main influences and inspirations back then, and have they changed significantly since? 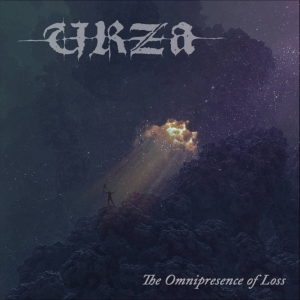 When it comes to doom music, I would say we were inspired by bands like Esoteric, Evoken, Loss, Worship, Mournful Congregation, Nortt and some others. There would also be black metal bands I can mention, like Abyssic Hate, Silencer, Shining (era I-IV), Burzum, … When we recorded the demo I dare say we also had influences coming from a post-rock corner, mostly from bands like Daturah, Red Sparowes, God is an Astronaut, … which can be heard notably in the demo track 'Broken Gates to Nowhere'. I do believe the influences have changed, or rather, have faded. I never tried to copy anything, but I feel like the music I wrote for the album really came from a place inside of me, with little to no outside influences. Writing and recording the album was an emotional battlefield, and I think that can clearly be heard. 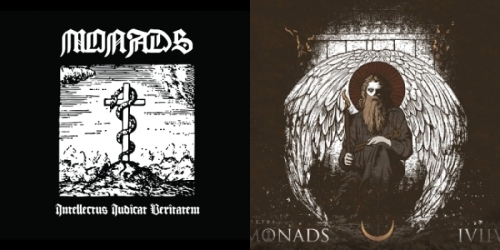 (6) There’s an obvious Mournful Congregation connection, which I saw mentioned in an interview back when the demo was released, but how much does the name ‘Monads’ take from that, and how much is it an expression of your own separate philosophies? 'The Monad of Creation' is a very important album in my musical history, but it's not as easy as just 'me taking one word out of that name'. Being so overwhelmed by that album, I started reading up on the lyrics and the philosophy behind it. It led me to John Dee's 'The Hieroglyphic Monad'. This is where the basics of the Monads philosophy started. Several subjects are being explored in the demo, and a more personal philosophy was built based upon that, which – I believe – is most clear in 'Within the Circle of Seraphs'. I believe that conceptually and lyrically, the new album really follows on that path. The title of the album is also a direct reference to the very core philosophy of Monads. Discography: 'Intellectus Iudicat Veritatem' (Demo, 2011) and 'IVIIV' (2017). (7) I would have to suppose that symbology plays some important role in the way you approach both your music and its representation. Is that the case: that names, artwork, track titles, and so forth, contain various layers of meaning – some obvious, some more metaphysical and occult? You're absolutely right, it's very important for me. Simply put: all those layers are too detailed and too many to just explain here, they're meant to be explored. If one finds their own meaning in it, that's also something we encourage. Any spiritual path should be an individualistic one. (8) And is that something that you do purely for yourselves, to express a multi-layered concept, or also to challenge your listeners to really understand what the band is trying to communicate? It is both, see my brief answer for question 7. (9) The original demo, ’ Intellectus Iudicat Veritatem’, emerged towards the end of 2011. That’s quite fast working by Doom standards: was any of it prepared and ready before the band formed, or did you compose and record it all as a unit? Yes, that one went quite fast, certainly compared to our pace afterwards. (The demo took about 6 months to finish, the full-length took about 6 years.) The first couple of songs were written in a 'jam-session' style, with a line-up ranging from 2 to 5 people. Other songs, like 'Within the Circle of Seraphs', were written in solitude and finished completely like that. After that we rehearsed the songs almost weekly until they had shaped up to something we were ready to record. We did so in the Summer of 2011. (10) And do you have any particular compositional process and specific areas of contribution that you stick to, or do your songs come from more of an informal evolution and communal input? Well, for the writing of the demo, there were two main song writers, while for the new full-length, it was only one. Apart from that fact, I/we try not to stick to any compositional processes that might turn out to be limitations. Though right now I am the main songwriter, I've always opened myself up to the input of the other members. When we were shaping up the demo tracks, this was very notable. 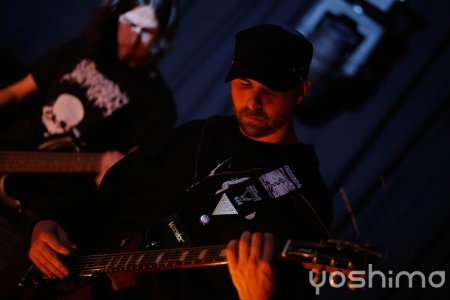 Especially our singer, R. Polon, has a very specific input into the music and what direction it will go in. In that sense, he was almost our producer back then, trying to get the best out of the other musicians. I have learned to listen to him. For the album, we worked with an actual producer who knows me and my music very well, and pushed me in directions that were needed when possible. (11) Was it any kind of surprise how well the demo was received? As I recall, at the time even the reviews which considered it to be not especially ground-breaking were largely positive about how well it was executed. Yes, we were all very surprised. The tapes sold out in no time, reviews kept pouring in and we quickly had several offers from labels to choose from (sadly they did not include any vinyl offers). I hope the people who were ecstatic about it back then, will still remember us now after such a long silence! (12) How important is the physical aspect of a release to you, as an artist or as a purchaser? From a Monads perspective, vinyl would presumably be the ideal presentation format, if only because the size allows bringing out all of your symbolic elements in detail? Does it have any other qualities you value above other formats? To me, personally, the physical aspect of a release is extremely important, almost as important as the music itself. I think a release should be a harmony between music, lyrics, concept/theme and art. Otherwise, why do it at all? To have a vinyl release for Monads has been a goal from the beginning, and it's quite frustrating that we haven't gotten there yet. It seems easy for my current black metal projects to get a vinyl release, but doom has always been a problem child there. (We actually had a vinyl deal for our demo, it had been announced and everything, artwork/layout prepared, and then the label bailed on us without deeming it necessary to even inform us about that. I'd advise everyone to stay clear from Baneful Genesis Records from the US). Why vinyl? Indeed, it gives you much more options regarding artwork, and it will be bigger. But, size shouldn't always matter in that aspect, as I'm also very fond of cassette tapes. There will most certainly also be a tape version of the new album, and I daresay I like the analog formats more than the digital ones. Still, I have never fooled myself and it's clear that a lot of people only want the digital music files, and are happy to pay you for those. Bandcamp is the perfect platform for that, and it shows that people often give money even though they don't have to. We have chosen to put up our music at a 'Name your price' download, without a minimum. Why? Well, a lot of people will give money anyway, sometimes just half a euro, but sometimes 9 or 10 euro too! And the people who don't want to pay: if they want to download it, they'll get it some way or another anyway. I think it's only better then if they do it through your official Bandcamp page. (13) I remember reviewing the Ordo MCM CD re-release sometime in 2012. How did that particular deal come about? Was it a good deal for you, as far as advancing the band was concerned, even with something you were still officially referencing as a ‘demo’? Yes, it was! Ordo MCM did a great job on promotion and distribution, the CD version of the demo was widely available, also in bigger record stores and mailorders. To us, it was indeed still a demo, but in retrospect: I don't mind it when people talk about it as a full-length. It is a 55 minute opus, so if people experience it as an album, that works for me too. I just look back at the writing and recording process, where – for us – it was really a demo; a tryout, a way to see what we could do with the music we created under this entity. The CD release of that demo/album (whichever you prefer) was just a way of making and keeping it available to people who wanted it, or were still about to discover it. Re-releases of past recordings are always a good thing when you're planning on doing performances and more releases. Limitation can be nice, but so can availability. (14) So, now we’re looking at the official ‘debut full-length’, ’IVIIV’. Referencing the previous question about symbology: what does that name, and the associated packaging, signify? Every release of Monads, including some shirts, have included the 'triple sigil' which envelops the philosophy of Monads. The first one is the monad, the ultimate 'one', the epicenter to which and from which everything originates/returns. The second is the pentad, the fivefold expansion of the monad into our band. The last one is a direct outtake from John Dee's 'The Hieroglyphic Monad', saying 'Intellectus Iudicat Veritatem', meaning 'The intellect judges (over) (the) truth.' The Monad is shown as a Roman one: I, the pentad is shown as a Roman five: V, and the last one is abbreviated into IIV, together forming something that looks like a mysteriously (but wrongly) arranged Roman number: IVIIV. (15) It’s seeing the light of day through Aesthetic Death – one of my absolute favourite, and shamelessly partisan-supported, underground labels – how happy are you to be working with Stu on this release? Has it made any difference to the way you’ve approached the release? Working with Stu has been nothing but a pleasure, I wish he would have been there in the early days of the band. He's one in a million, a person truly devoted to the underground, his label and the bands he supports. I couldn't imagine a better fit. He's been very constructive, and whenever I/we had doubts about something, he'd offer his insights, while always – ALWAYS – respecting the artist's final word. I feel like the band and the label complement each other, and I hope we can grow together. We already have a next release shelved for him as well. (16) What would you say are the key points of the album, in terms of the evolution and progression of Monads as a band? I think one of the biggest differences is the sound. I think we succeeded in capturing a sound that is much closer to our live sound than the demo. The demo was pretty raw, but not in a bad or 'bad quality' kind of way. The full-length has a fuller sound, more crushing, while still staying in that 'cold' vibe we like to emit. As I said: to me, a doom experience should not be easy, it should be a punch in the face, crushing down on you like the heaviest burden. Helping with this are the emotions I poured into writing and creating this record. I wrote most of the music in a particularly difficult and heavy period for me, and the long process allowed me to put a lot of detail in translating those emotions. I also believe the dynamics as a band are better now than back then. One of the key reasons there would be the (single-person) line-up change. Things seem to flow easier now, both live and in studio. (17) As a bit of an aside, why has it taken so long to get a successor into the production stage? What’s been occupying your time since 2011, and when were the key stages of ’IVIIV’ completed along the way? I wouldn't be able to give you an exact reason. I basically started the creation of this process right after the recordings of 'Intellectus Iudicat Veritatem'. Writing the songs was difficult, not from a musical standpoint, but from a personal/emotional standpoint. This album has been very demanding on myself, and it has drained me. Furthermore, actually planning and setting out a detailed recording process seemed difficult, and wasn't clear to us until 2015. As I had written most of the songs already, learning them as a band would be a different experience from forming/shaping the songs together as a band. We did learn one of the songs ('Your Wounds Were my Temple') and included it in our live set ever since F. Breulet joined the band in 2014. Eventually the basis and core of the recordings happened with just him and me, accompanied by producer/studio engineer Déhà. So, to answer your question: a myriad of reasons and none in particular at all, at the same time. (18) [Maybe it's a little early to be asking, but have you any plans for the band right now? Any further recordings, or live activities, in the pipeline? We don't have any live performances set in stone, but we're trying to set up some smaller things. Apart from that we'll see what comes along. Maybe the release of the album will bring us some offers here and there. Together with our full-length we also recorded a more experimental EP which should also be released by Aesthetic Death at some point. We'll see when. I'm also still hoping for vinyl versions of both the demo and the full-length, but we'll see what reality might bring us there! Live in 2017 (Photo: Apophis Photography). (19) You obviously do perform live: how do you feel about setting out to get on stage or go on tour, in general? Is it something which you feel works well with this particular genre of music? And are there any places where you'd particularly like to take it as a live show? Yes, I absolutely believe it works. As I mentioned before, doom – to me – should be nothing short of an experience. I remember seeing bands like Esoteric and Mournful Congregation for the first time, and it almost literally knocked me out. All I wanted was to be able to create an experience similar to this, both for myself and for the audience. Now, this is very personal for any viewer/listener, so I wouldn't claim on their behalf that I succeeded, but I do remember the very first gig of Monads, and it did knock me out. After the gig I all but collapsed behind the stage. I wouldn't have an immediate response to the question of where I'd still like to perform, but I would say that the small tour with Hypothermia and Kall has been one of our most succesful and overall satisfactory endeavours. In such a setting you see people, generally not into doom music, discover something they might consider either boring or special. Luckily for us, most people were open-minded and we sold a lot of music and merchandise. Maybe we should tour with black metal bands more often. (20) So, what else occupies your time outside of music? Is there anything you'd particularly like to be doing, given a free hand to indulge? Besides my daytime job as a teacher, I'm in quite some other musical projects that take up most of my time. I wouldn't want to spend my time on anything else but music, to be honest. 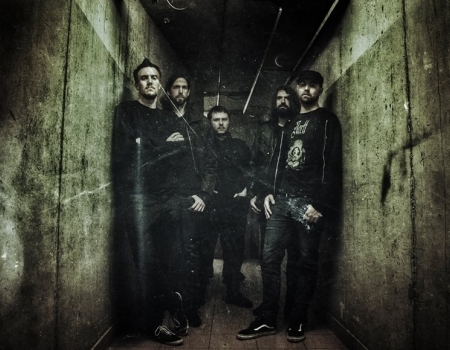 (21) To close, I hope we've given you the chance to present a good picture of the band as it is today, but if there is anything you'd like to add, the last words are yours. Thank you for the ability to answer these questions publicly, and for keeping it interesting. I don't think anything needs to be added; I hope the people who (will) listen to Monads can let the music speak for itself. (-) Then it only remains for me to thank you again for participating: cheers Hans, and all the best! Interviewed on 2017-12-18 by Mike Liassides.